After 42 years of service to the city of Clinton, police Chief Don Byington retired Dec. 31, 2012, and the Mayor and Board of Aldermen will honor Byington this weekend. On Sunday, Jan. 27, join city leaders and the community for a reception at Quisenberry Library, from 2-4 p.m. 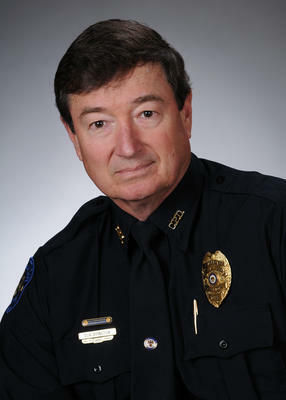 There will be a special presentation at 3 p.m.
Byington is the administrative director of Capitol Police. He joined the Clinton force in 1970 as a patrolman and witnessed tremendous growth in the city.